By combining world-class skiing with a leading academic program, we foster growth and resilience in our student-athletes. When they graduate, they're prepared for whatever path they take. In 1982, Rowmark Ski Academy was founded as a division of Rowland Hall, the premier college-preparatory school in Salt Lake City. Just over three decades later, in 2014, Rowmark proudly became one of the first clubs designated for the U.S. Ski and Snowboard Association’s (USSA) highest Gold Certification level. Rowmark skiers are full-time ninth through twelfth graders at Rowland Hall. Here you find a rigorous, year-round racing program coupled with an extraordinary academic high school. There's nothing quite like it in North America. Academic program: Late August to early June. Conditioning program: Year round. Includes four off-season camps—Mammoth (June), Mt. Hood (August), and Colorado (October and November). March 1 annually. Later applications may be considered on an individual basis. Yes; also need-based financial aid. The 30 Rowmark Ski Academy athletes are full-time students at Rowland Hall and make up about 10% of the high school student body. We offer an unparalleled combination of academics and ski racing for our student-athletes. The Rowmark Junior Program offers an after-school/weekend ski program for Rowland Hall students in third through eighth grades and is designed to foster a lifelong appreciation of alpine skiing and racing. We develop young skiers from beginner to elite alpine levels, with the aim to produce all-around versatile skiers. We are thrilled to announce three Rowmark Ski Academy alumnae have been named to the 2018-2019 U.S. Ski & Snowboard Alpine Team. Named to the A Team are Breezy Johnson '13 and postgraduate Alice McKennis '08. Katie Hensien '18 has been named to the C Team. This is Breezy's fourth year on US Ski Team, Alice's seventh year, and Katie Hensien's second year. According to Rowmark Academy program director Todd Brickson, "Alice, Breezy and Katie were all model Rowmarkers and we couldn't be more proud to have them represent Rowmark as members of the U.S. Ski Team. Most importantly, all three athletes are kind, humble, and incredibly hard working and have earned everything that has come their way. 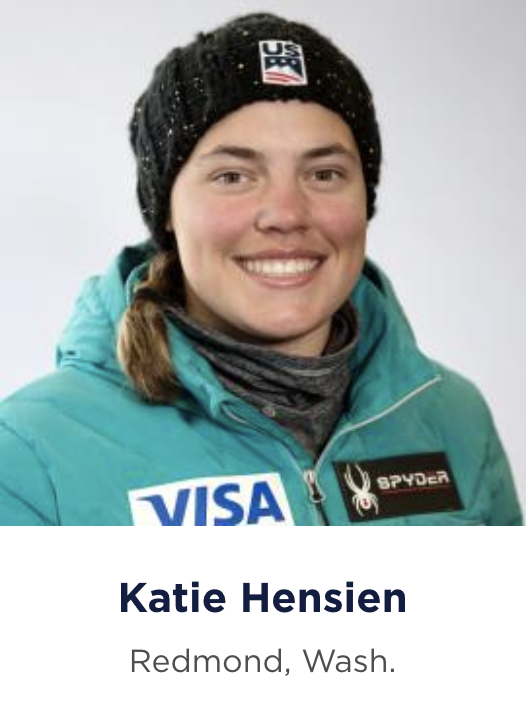 To kick off the season, Katie starts in her third World Cup SL race in Killington, Vermont next week as one of the youngest members of the U.S. Team and we look forward to cheering her on." Selection criteria for the US Alpine Team is based on results and rankings from the 2017-18 season. 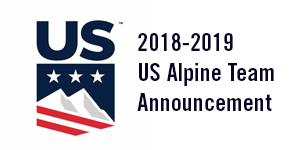 To read the full alpine team roster announcement, visit the US Ski Team webpage. Troy Price, Rowmark Ski Academy's beloved junior program director since 2010, in May added national accolades to his already long list of accomplishments. U.S. Ski and Snowboard named him the 2018 Development Coach of the Year, one of only two top coaching awards they bestow annually. U.S. Ski and Snowboard initially selected Troy as the 2018 Alpine Domestic Coach of the Year, one of 14 silver-level coaching awards for various disciplines, including snowboarding, cross country, and ski jumping. From that group of 14 winners, only one is picked to receive the gold-level, cross-discipline honor of Development Coach of the Year. Neither Troy nor Rowmark Director Todd Brickson knew Intermountain Division (IMD) Director Carma Burnett had nominated Troy for the initial award. Appropriately enough, Troy learned he'd won that title while he was at Canada's Whistler Cup overseeing the Western Region's U14 team—a team that existed thanks in part to his vision. With his award, Troy joins a list of past winners whom he considers legends within the sport. "It's a little humbling to be on there," he said. Not everyone's as modest: Rowmark Director Todd Brickson said Troy was "so deserving" of the recognition. Troy loves what he does, cares deeply, and is intelligent and well-organized, Todd said. "Not only is he directing our junior program and driving really sound athlete development within Rowmark," Todd said, "but Troy is reaching out beyond our program to make our division better. It therefore makes our program better. And now he's also creating regional projects and philosophies that make the whole West better." That big-picture scope is rare, Todd said, and ultimately benefits skiing at the national level too. U.S. Ski and Snowboard summarized Troy's efforts in a news release: "He established the division's development committee nine years ago and has served as committee chair since its inception, playing a key role in managing development projects, running the Tri-Divisional Championships," and fielding the regional team for the Whistler Cup. And in her nomination letter, Carma wrote that "Troy IS Development in the IMD Alpine Division." Read her letter here. "I hope I have been able to convey how passionate and amazing Troy Price is when it comes to developing athletes," Carma concluded her letter. "He pays as much attention to the 'elite' athletes as he does to the 'last pick.' IMD is fortunate to have his energy and input." Rowmark and Rowland Hall alumna Sofia Yubero '17 has known Troy since she was seven years old, and as a seventh grader started at Rowmark Junior under his direction. Some of the IMD events she and her peers got to compete in wouldn't have existed without Troy, she explained. And of course, he goes above and beyond in his leadership roles: "Even if he's running the race, he's cycling the chairlift and bringing food and drinks to all the other volunteers," she said. "He's extremely organized and knows how to achieve his agenda. No one works harder for what they want than Troy, and he's a true role model." Immediately above: Troy Price (far left, bottom) with his Rowmark Junior crew in March. Top of page: Troy Price, right, with U.S. Ski and Snowboard Chairman Dexter Paine during the Chairman's Awards Dinner in Park City May 3. At Rowmark, Troy focuses on the athlete as a whole, from ski racing to good sportsmanship to academics. One career highlight, for instance, came when rising sophomore Tommy Hoffman, as a seventh grader, won the region's first U14 event—an event Troy had proposed. "To have a Rowmark kid win it, that was awesome," he said. But what was so memorable about the event was how Tommy took the initiative to shake the hands of the other top-10 finishers before stepping onto his podium. "He showed respect to his competitors," Troy said. "That sportsmanship was a true reflection of our program." Troy's positive, inclusive coaching style and inimitable work ethic has absolutely benefitted Rowmark, Todd said. "When Troy first took the job, our junior program wasn't really a feeder program," the director said. "We would gain zero to one or two kids moving into our junior program for the academy and had to recruit most of our skiers from all over the country and internationally." But as a result of Troy's work, the junior program has become a primary feeder for the academy, and skiers coming from the junior program are well-prepared to meet the demands of the Rowmark/Rowland Hall lifestyle. Troy doesn't mince words: he's put in long days to achieve his myriad goals. It helps that he's eerily organized—he holds an accounting degree from Weber State University and worked in that field before leaving to pursue his coaching passion. Though he switched careers, accounting strategies stuck with him: "There are a few coaches out there who nicknamed me Mr. Spreadsheet," Troy joked. But even the spreadsheets hold deeper meaning for Troy. Once he's formed a relationship with a Rowmarker or any IMD skier, he keeps an eye on their careers. "It's exciting when I'm creating a ranking sheet and I see an athlete succeed or make a championship event, and I know I may have had a small impact in that." And it's just that: at the root of it all, Troy is an amazing coach who knows how to motivate his skiers. "During each of the last three years in a row, Troy's U14 athletes have qualified for the U16 Nationals," Carma wrote in her letter. "More so they continue to have success as they advance their ski-racing journey." Sofia can vouch for Troy's impactfulness. She took a postgraduate year and is currently recovering from injuries, but hopes to ski for Middlebury College, where she'll be a freshman in the fall. "I definitely wouldn't be the person or athlete I am today if it weren't for Troy," she said. "He's been in my life for so long, and we've spent so much time together that he's essentially like a second father to me. But besides our close, personal connection, as a coach, he taught me about the value of work ethic and the importance of goal setting. There's nothing like grueling workouts in the summer and fall heat, but somehow Troy always made us excited to work towards our in-season goals that were months away." And through his coaching style and his talent, Troy simply inspires a love for the sport, Sofia said. She still remembers sprinting against him during physical testing when she was younger: "Following him on a powder day around Snowbasin is one of the best things because he knows the mountain so well," she said. "Plus, he's an insane skier. I loved skiing behind him and trying to mimic his every move." Troy cultivated a fun atmosphere, Sofia explained, because he knows the competition aspect of the sport eventually comes to an end. Rather, he focuses on the promise that "if our love of skiing is strong enough, we—his athletes—will continue to ski for the rest of our lives." Katie Hensien started her Rowmark Ski Academy career strong with a U16 slalom national championship in Sugarloaf, Maine, back in 2015. Rowmark Director Todd Brickson still remembers the middle of Katie's second run, when she suddenly and precariously skied on one foot as the other flew into the air. "She didn't fall, but picture one ski on the ground and one ski near her head," Todd said, crediting Katie's flexibility. "It all happens in one moment and then she regains her balance and keeps going." Katie, now a senior, laughed knowingly at Todd's memory. 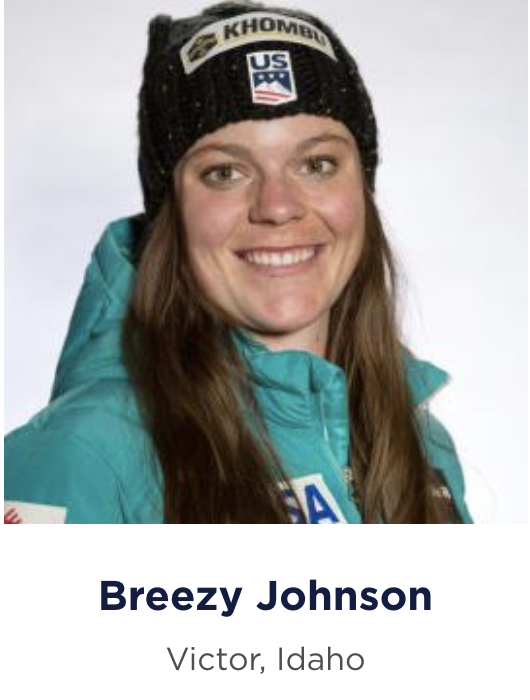 "I did that in Davos, too," she said, referencing her fourth-place slalom finish January 31 at the World Junior Championships in Switzerland. Katie's incredible recovery to win that U16 title epitomizes her style, Todd said. "She goes all out, she attacks, but she's also a smart skier," he explained. Rowmarkers and their families know all too well that ski racing isn't a judged sport—it's simply about clocking the fastest time. "It doesn't have to be perfect, it doesn't have to be pretty, and Katie gets that," Todd said. She had a spectacular 2016-2017 season with her first NorAm top 10, plus four International Ski Federation victories in slalom and giant slalom. In May, the U.S. Ski Team named Katie an alpine C-Team member—the youngest American to qualify. This winter, she earned her first two World Cup slalom starts, one of which also entailed her first European competition. In Davos, her first World Juniors, she finished as the top American and fourth overall, a mere 0.71 seconds shy of a podium spot. U.S. Ski & Snowboard Alpine Development Director Chip Knight told Ski Racing Media Katie had a great day in Davos and skied well in a heavily stacked event. "She more than held her own," he said, adding she finished third in her second run, and in both runs she was very fast on the bottom of the course. Katie's World Juniors outcome is even more impressive given an unprecedented blow in her personal life: less than two weeks beforehand, she learned her grandfather, Gil Hensien, had passed away. The 18-year-old had never before lost a family member. "It was hard to deal with that and keep moving forward," she said. "He was kind of an idol of mine." Gil had always supported her racing—even if he didn't entirely understand it—but never got a chance to see her in action. So in Davos, she penned "♥ G. Hensien" on a piece of tape and stuck it on her helmet, front and center. With that dedication, he joined her in spirit on the slope. "Now that he got to watch me, I'm happy," she said. The positive Davos result initially left Katie "speechless," she said with a smile. But beneath the surface, the new career highlight stoked her motivation. "When I can put two solid runs together, nothing is impossible," she reasoned, "just more hard work." Her determination and ability to learn from past races paid off February 16 in Whiteface, New York. She landed second in the slalom and secured her first NorAm podium, achieving a primary goal for the season. 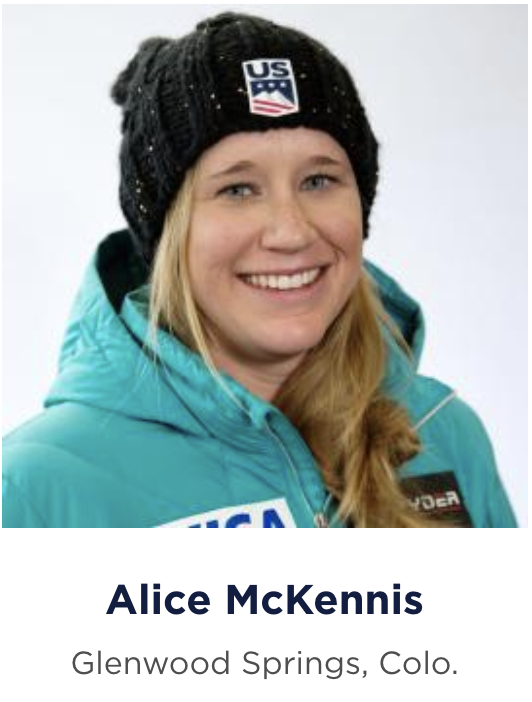 "It feels great as we head into NorAm finals to recognize that I have the speed needed to challenge for the top of the podium," she wrote on her blog. She certainly has the speed, and she also has the support. Katie's devoted parents moved their family to Park City from Seattle so she could attend Rowmark. She looked at a few other ski academies, but one chat with Todd and she was hooked. "I knew right away that was what I wanted," Katie said of meeting Todd and hearing about Rowmark in person. "He's really confident in his athletes and he's determined to make them as successful as possible in school and skiing." So her folks made it happen, and now they love Utah just as much as their daughter does. The Hensiens, naturally, are known for their optimism. "Katie's parents are the two most positive people I think I've ever met, and she has that same personality trait," Todd said. "It just helps her in so many ways." Katie said her down-to-earth mom sparked her love of athletics and always told her she could play any sport she wanted, as long as she enjoyed it. Accordingly, Katie still makes time for mountain biking and hiking with her new German Shepherd, Jess. Her passion for skiing, appropriately enough, started with a family trip to Whistler, British Columbia. As reported in the Park Record, the Hensiens put three-year-old Katie in ski school for the day: "When they dropped her off, she cried because she didn't want to ski," reporter Ben Ramsey wrote. "But by the end of the day, she cried because she didn't want to leave." As a senior set to graduate in June, Katie will soon leave Rowland Hall—but not without happy memories and lifelong friends, many of whom are Rowmarkers. Though she applied to college, Katie is keeping her options open for next year. Dreams of competing in the Olympics occupy the back of her mind, but she's taking a zen approach to it all. "I'll keep striving for it," she said. "But wherever my path takes me, I'm just going to go with it." In February of her Rowmark Ski Academy postgraduate year—which skiers often use as a stepping stone to national or college teams—Alex Shaffer '94 competed in exactly zero races. She took a month off in the middle of racing season. "People thought I was crazy," Alex said. Some peers and national coaches saw her hiatus as a big mistake. But a race-free month was hardly the death knell of the 19-year-old's career. The respite (from competing, not practicing) was part of a post-knee-injury plan hatched by Alex and Rowmark Co-Founder Olle Larsson. "It gave my body and my mind a chance to find that fire again," Alex said. Come spring, a string of successful races qualified her to the U.S. Ski Team. By her 2004 retirement from the sport, she'd earned two national championships and competed in two Olympics, cementing her legacy as one of our notable Rowmark alumni. 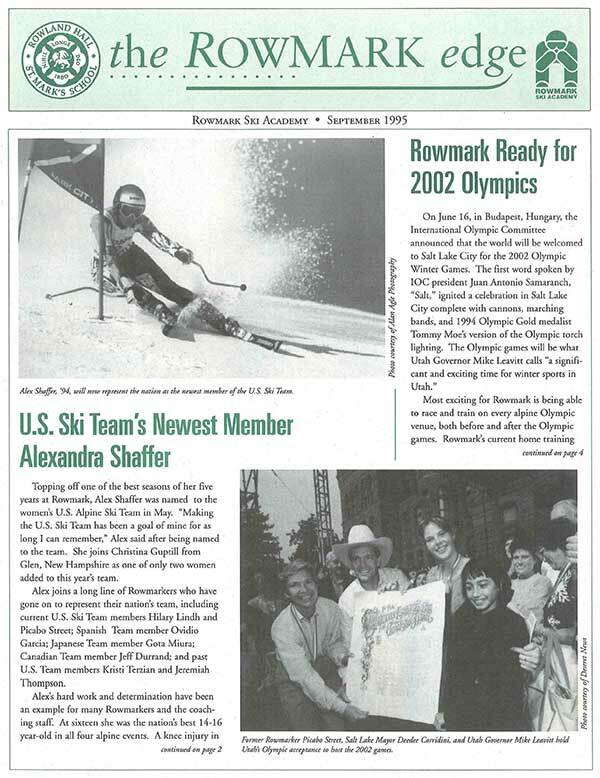 The September 1995 Rowmark Edge announcing Alex's spot on the U.S. Ski Team. Rowmarkers like Alex thrived because they were independent thinkers, Olle said, and weren't deterred by occasionally unconventional training plans. "It's difficult with a young teenager to sit down in the fall, and lay out a whole program for the winter, and stick to it," he said. "Alex had that ability because she could see there could be higher gratification in the end." Alex Shaffer—now Alex Wubbels—honed that kind of mental fortitude at Rowmark. In true Rowland Hall tradition, her sixth-grade biographers documented that evolution in 1994: "Alex is a person who has grown more self-reliant, independent, and has increased her self-esteem over the past four years," wrote then-sixth-graders Kaebah Orme '99 and Myndi McCloskey. "The person who has most influenced her life would probably be her coach, Olle Larsson, who taught her about life, rules, and learning. He taught her to understand herself and depend more on herself." Olle's lessons stuck. Now a critical care nurse, Alex proved her enduring conviction on the University of Utah Hospital floor. On July 26 last year, during a mind-boggling incident recorded on a body camera, Salt Lake City Police Department Detective Jeff Payne wrongfully arrested Alex when she refused to allow him to take a blood sample from an unconscious patient who'd been in an automobile accident. Per hospital policy—which Alex calmly relayed multiple times—Payne needed a warrant or patient consent, or the patient needed to be under arrest. Payne lacked any prerequisites. Alex adhered to the policy and refused to yield. After a half-hour of bullying by the detective, she could have given in. Maybe it wasn't worth it. But for Alex—who sees it as a privilege to help patients and keep them safe when they're unable to do so themselves—the issue transcended worth. "You can't just come in and take something that isn't yours," she said. "If there's anything more proprietary and more personal than your blood, I don't know what it is." So she did her job and protected her patient, even though it entailed being grabbed, dragged from the ER floor while yelling for help, handcuffed, and put in the back of a police car. "My heart was pounding," Alex said. "I was scared to death." She's still coping with post-traumatic stress from the arrest, but even in the chaos of it all, she knew she was doing the right thing. "In moments of duress, our guts tell us a lot about right and wrong," she said. "I learned to trust my gut that day, I think, more than I probably have in a while." Alex's story went viral in September, after she and her lawyer released bodycam footage from the arrest. The video sparked international outrage over the aggressive arrest and mistreatment of a nurse doing her job. "Alex Wubbels did everything correct," Utah Nurses Association (UNA) President Aimee McLean told the American Nurses Association (ANA). "She stepped away from her patient's unit, she deescalated, she followed hospital policy and procedure. This never should have happened." ANA called Alex "a hero to her patient, to her hospital and to nurses across the country." During the wave of media attention, Alex told reporters she hoped her actions were enough to invoke change. They certainly were. Alex reached a $500,000 settlement from the city and university—she donated some money to the UNA, and set up a fund to help others obtain police bodycam footage. Relevant hospital and police policies were updated. Payne was fired and his watch commander was demoted, though news media have reported they're both appealing. The Utah House and Senate have passed a bill that aims to prevent this from happening again, and now it awaits the governor's signature. Alex's Rowmark years with Olle primed her to go against the grain when needed. "Talk about the principles of standing up against bullies—that's pretty much what he taught us from the very beginning," Alex said of Olle. The duo has maintained their friendship. "He is one of those people that I am just so grateful to have in my life." When he heard about the arrest, Larsson wasn't surprised that Alex stood her ground that day. He cited her independence, thick skin, and broad life experience as an elite athlete competing internationally. "She could be calm-minded skiing at 70 miles per hour," he said. Like so many skiing prodigies, Alex started young. She and her brother, Pete Shaffer '96, also a Rowmarker, grew up on a ranch in Aspen, Colorado. "We didn't have babysitters," she said. "You either skied till the mountain closed and got the bus home, or you skied till your parents got off work and you caught a ride with them. So you just skied—that's just what you did." Alex joined her local ski club one year younger than normally allowed, climbed in the rankings as a middle schooler, and attracted the attention of recruiters, including Larsson. 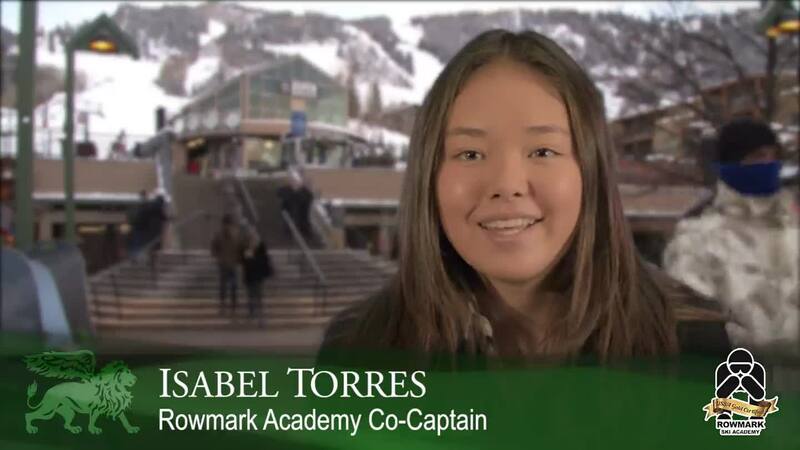 She committed to Rowmark due to the selling point of a Rowland Hall education—her parents knew skiing wouldn't sustain her forever, and they wanted her to attend a challenging school. So Alex and Pete moved to Salt Lake City and lived with host families while their parents stayed in Aspen. During Alex's senior year, the Shaffer siblings happily landed with Middle School math teacher Nancy Robinson, now a popular tutor. After Alex's second of two knee injuries, Nancy remembers the skier's dogged determination to heal. The teacher, who's now like a sister to Alex, even begrudgingly joined the senior for some early morning physical therapy—a 6 am aqua-jogging class at the Steiner Aquatic Center. "We spent a lot of time running back and forth in the pool," Nancy laughed. "Alex's big goal was to go to the Olympics, and despite her various setbacks and challenges, she made it," Nancy said, adding Alex acknowledged her challenges and found a way through them. "Whatever she's going to do, she's going to do it as well as she can." Rowland Hall delivered on the challenging education Alex's parents sought for her—it was, in fact, probably more challenging than Alex would've liked at the time. "I remember being so focused on skiing, literally nothing else mattered," she joked. But in retrospect, she's grateful that Rowland Hall helped her hone her learning skills. Her junior year, for example, she'd just had knee surgery and needed to write an essay for Carol Kranes' English class. She perfunctorily completed it in her hospital bed, and in a suggestion that seemed novel to Alex, Ms. Kranes later encouraged the Rowmarker to resculpt the essay into something better, and turn it in for a new grade. "I was like, 'huh,'" Alex said quizzically, imitating her teenage self. Through interactions like that one, Alex said, Rowland Hall dispelled her misconceptions about school. It was about learning how to learn, staying curious, and gaining a deeper understanding of subjects, not rote memorization or completing an assignment for the sake of completion. "I was a blob when I showed up. I was actually a figure of someone when I left," the alumna said. Her teachers and coaches, she explained, helped to shape her into an effective citizen, and a good person who strives to be the best version of herself. This set her up for success in her nursing career—a job that shes says keeps her on her toes, and in a state of perpetual learning. She even spends 20 hours every two weeks as an educator in the burn unit. "More than anything, the curiosity that I have for medicine and for nursing came directly out of Rowland Hall," she said. "If you're curious about something, learning is easy. I got that from Rowland Hall in a way that I could have never imagined." "Nurses are closing their ranks around Alex Wubbels"
Alex's desire to understand and educate steered her actions after the arrest: "This happened, it should never have happened, and it will never happen again," she said. "In that light, what can I do to inform people." Friend Nancy Robinson confirmed that after the incident, Alex felt a responsibility to raise awareness and help nurses and others who perhaps had similar experiences but didn't receive media coverage. "She's very conscious that this is not just her experience, she just happens to be in the limelight because there is video footage," Nancy said. Indeed, the incident was isolated, Alex said, only in the sense that it was filmed. "Without the bodycam my story would've gone nowhere," she said. "It made it really easy for anyone to watch that footage and feel like it was them, or someone that they loved." According to the ANA, one in four nurses has been assaulted at work. In addition to new legislation here in Utah, Alex's arrest sparked an ANA-led movement to #EndNurseAbuse, including a pledge with 13,000 signatures and counting. On a personal level, the response to the incident reinforced her commitment to nursing. In the same blog post where the UNA president defended Alex's actions, the national organization doubled down in a heartening way. "Nurses are closing their ranks around Alex Wubbels," the post reads. "ANA has your back." She received an outpouring of supportive letters and emails from nurses across the world. "We're not just here for people that need help—we're here for each other," Alex said. "I couldn't have done what I did if I wasn't a nurse." One of the most important things Alex learned as a ski racer was how to recover. You can set the goal of a perfect run, she explained, but it's not realistic. "If you're always aiming for perfection, the little bumps are going to throw you off so much so that you won't ever recover," she said. "I realized that it wasn't about the perfect run. It was about who can recover the fastest from the mistakes." As in ski racing, so in life: "There are bumps and bruises, and that's to be expected," she said. "It's how you recover and how you pick yourself back up and move forward that determines what happens." Through no fault of her own, Alex hit a major bump. But she's moved forward admirably by fighting for what's right and defending herself, and her community.